Mumbai, July 14, 2015: Renowned Brand Sanjeev Kapoor, at the recent HGH India 2015 annual trade held at the Bombay Convention and Exhibition Centre, announced Tangerine as its authorized licensee to sell select Sanjeev Kapoor branded products like Table and Kitchen Linen. 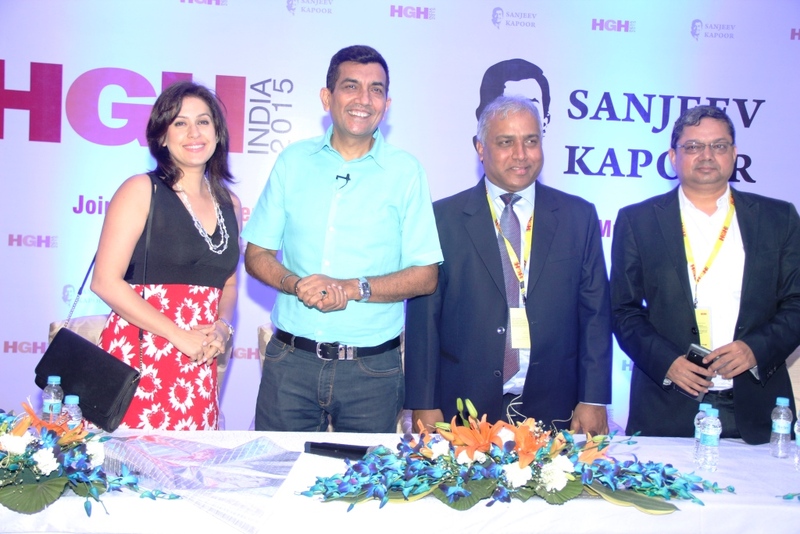 This marks the foray of the Brand Sanjeev Kapoor into the lifestyle houseware and kitchenware segment through brand licensing deals. Tangerine, the designer brand in Home Solutions and part of theIndian Home Variations, will offer a new array of SK Branded fashionable kitchen linen, table linen, mugs, trays, etc. Tangerine would be also be the sole distributor for SK range of Cutlery launched by Licensee - Trinity Kitchenware Pvt Ltd.